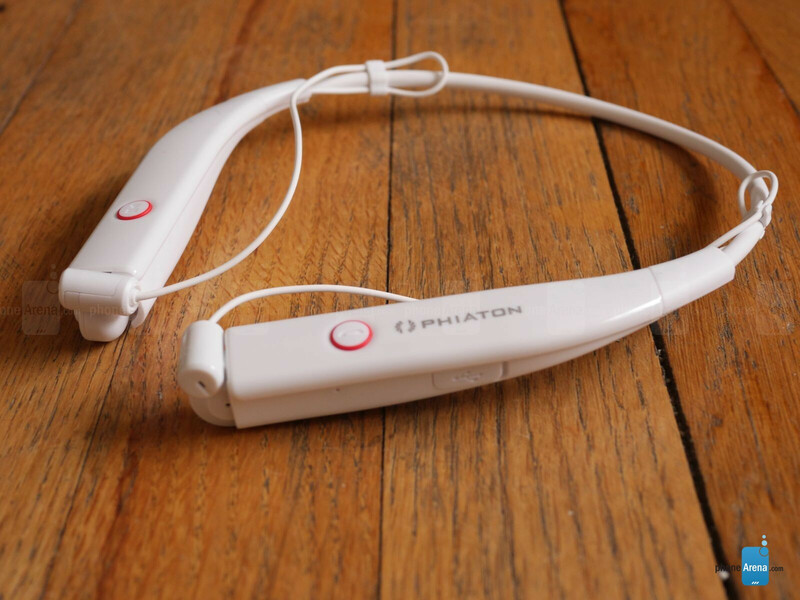 Having a diversified portfolio of audio-centric accessories, headphones maker Phiaton just announced its latest addition to its line of premium Bluetooth headphones – the Phiaton BT 100 NC. Geared to cater to the active individual, this Bluetooth enabled headphones offer active noise cancellation, Bluetooth wireless technology, and it’s IPX4-certified for water and sweat-resistance. Its design isn’t necessarily new, as it follows the styling of comparable models, such as the LG Tone+ Infinim and the SOL Republic Shadow, but it certainly has some qualities not found in those other headphones. Like we said already, the Phiaton BT 100 NC is a familiar looking over-the-neck style that we’re familiar with. The all-plastic construction gives it an extremely lightweight feel as we wear it, but it’s something that feels too light for our liking – giving its build quality an inferior characteristic. In fact, it’s so light that it bobs up and down while doing a run on a treadmill, or doing some other kind of vigorous activity. 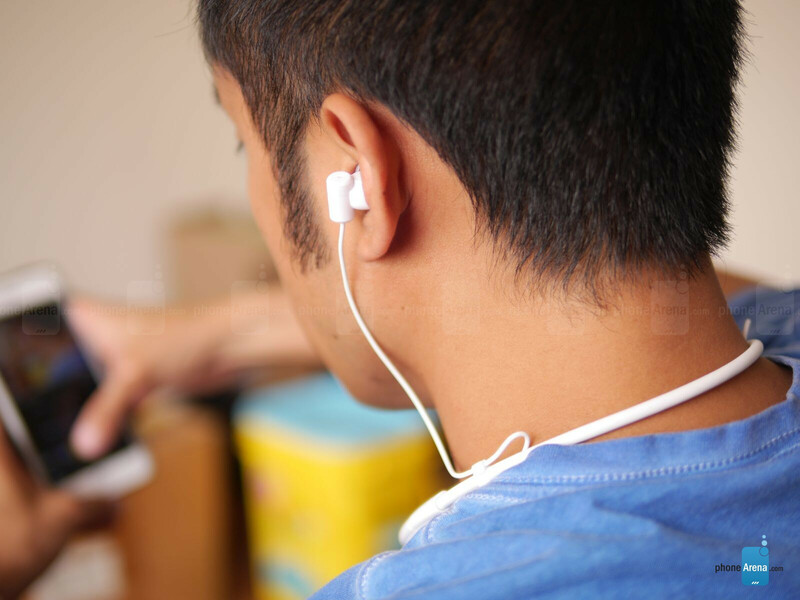 The earbuds are attached via cable to the body of the unit, which are stored in the compartment on the ends of the frame. 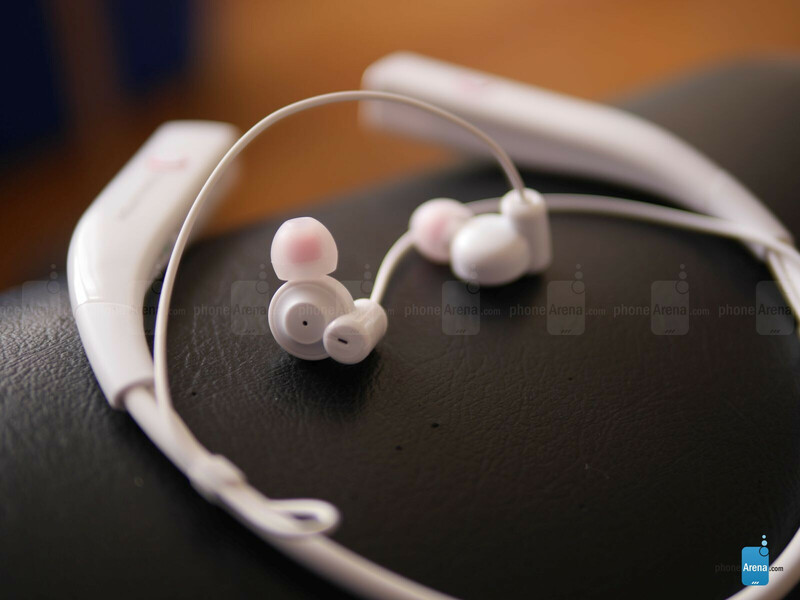 Instead of using a magnetic connection or some kind of retracting mechanism, the earbuds are simply attached by pushing them in so that the openings of the earbuds connect to the frame firmly. Most times it’s a simple and easy process, but every now and then, we find ourselves fiddling around just to get that snug connection. What’s nice is that dedicated media controls are found on the unit itself, so we have a single button that functions as pause/play, another one for pick up/end phones calls (power button too), volume up & down controls, and a switch to activate its noise cancellation feature. Behind a plastic flap, it features a microUSB port for quick and easy charging. As for its fit in the ear, we really can’t complain much because it comes packaged with a plethora of replacement silicone ear tips. Finding the correct size is always the thing to overcome, but the pair we selected offer a snug fit – one that stays firmly in place, even with heavy movement. Those planning to use it for working out will be glad to know it’s IPX4-certified for water and sweat resistance. Therefore, it’s perfectly safeguarded if you build up a good sweat during a workout session – just remember that it’s not really something that’s meant to be protected against submersion. Employing Bluetooth 4.0 technology, we’re able to effortlessly pair it with a Samsung Galaxy S6 edge – where it achieves up to 20 feet of connectivity before it’s severed. In addition, it features an NFC tag along the right side of the frame, near the pause/play button, which makes the process of connecting it with an NFC-enabled device even easier! And finally, the Phiaton BT 100 NC features multipoint technology to offer simultaneous connection to two devices. It’s good, but we’re not blown away. At the very least, the headphones produce decent dynamic range at all frequencies – while its 13.5mm drivers complement the quality by accompanying things with a subtle hint of bass. The overall quality produces a narrow-sounding experience where a balanced audio range helps to keep everything emphasized. Pumping it up to the highest volume setting, too, it still delivers some good tunes that don’t crackle or sound too strained. 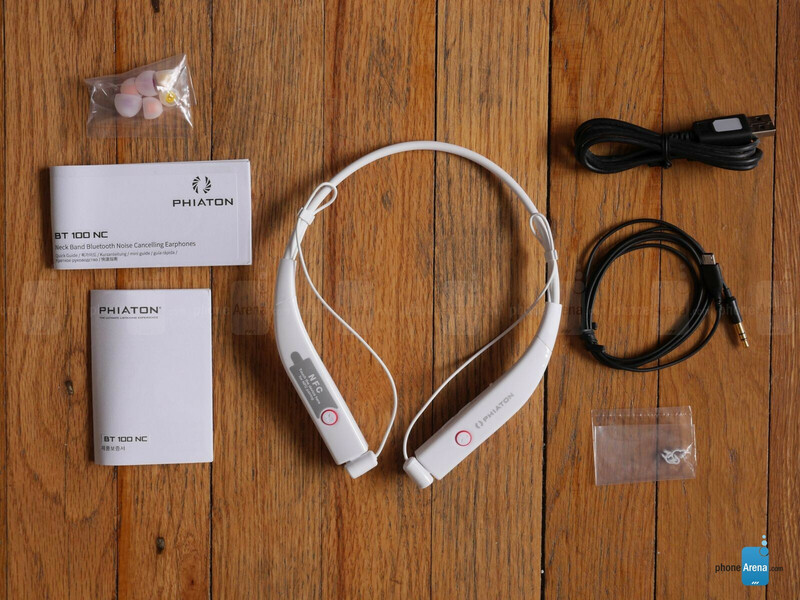 Turning on its noise cancelling feature, we’ll certainly agree that it’s more noise suppression than anything else – something that’s made more poignant by Phiaton’s own claim that it blocks out 95% of ambient noise at 1kHz and below. In our experience, the Phiaton BT 100 NC’s battery life provides us with roughly 3 workout sessions before its battery is depleted – and that’s with the noise-cancelling feature set on the entire time. Those workout sessions come out to be 2 hours each time, which is decent, but nothing class-leading. It might not have the high-quality sound of the LG Tone+ Infinim, or the stylish and sturdy design of the SOL Republic Shadow, but the Phiaton BT 100 NC blends a bunch of technology to give its $119 price point some needed value. Sure, its audio quality might just a smidgen below the other two headphones we’ve mentioned, but it undoubtedly has a rich arsenal of technology that the other two lack. Noise cancelling and NFC enabled are already two things in its portfolio that aren’t commonly featured in other comparable headphones – while its water and sweat resistance design is also another added perk that we appreciate. actually no, not that cool. LG is only 50 bucks., this is 120.